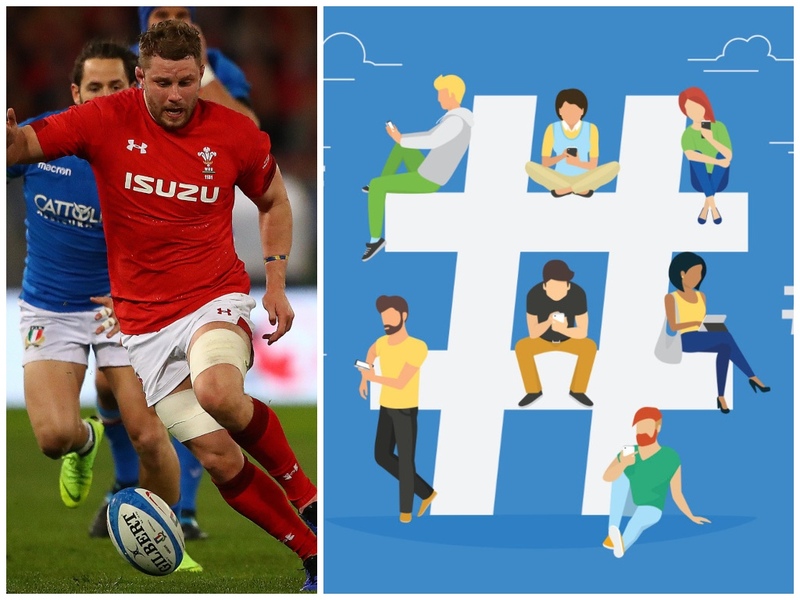 It is time for Planet Rugby’s Sunday Social, your quirky recap of the serious and not so serious talking points from the weekend’s action. There was an incredibly proud Mrs Young on the flight from Cardiff to Rome as she travelled to watch Thomas make his Test debut for Wales. Speaking of pride and this image of Munster head coach Johann van Graan embracing Joey Carbery after Ireland‘s win was also a nice moment. Back at the Stadio Olimpico though and Wales, while not anywhere near their best, did manage to seal international win number 11 in a row. And it seems the game wasn’t quite as enjoyable as Fiorentina vs Napoli in Serie A, with this journalist clearly not interested in the rugby. Earlier in the day it was Ireland who prevailed against Scotland in a defeat that left injured full-back Stuart Hogg frustrated at Murrayfield. Scotland fan and social media whiz Graham Love, meanwhile, was left deflated as another Grand Slam dream ended with a whimper for his team. Staying with the Scotland theme and, while it was a cup defeat for Duncan Weir’s Worcester Warriors, this touchline conversion was a beauty. How about this for a kick?! The other Premiership Rugby Cup semi saw Northampton Saints come back from 28-7 down to beat Newcastle Falcons 59-33 on Saturday.